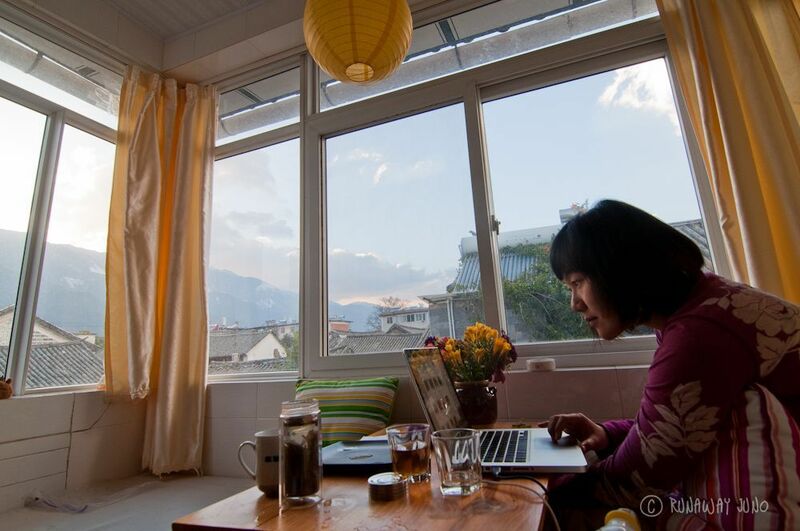 At a little hostel in Chinatown of Singapore, I met Jenny. She lived and taught English in Korea that year and started traveling around Asia. I was on a short break from school for two weeks. We celebrated Chinese New Year together, got over a not-very-fun hangover, spent some time in a small beach, and share a bed bugs experience. Oh that wasn’t pretty. Ever since I met her, she was my travel inspiration. For me, a travel newbie, she was an extremely experienced traveler at that moment, and she is still making her way out in the world. I had a great time in Malaysia because of Jenny. As I announced, my next destination is Vietnam and I will visit her in Hanoi. I asked her for this interview before my visit, and she wrote a wonderful guide. 1. If you use only one word to describe Hanoi, what would that be? Chaotic. Hanoi is a bit nuts. The traffic is absolutely mad and goes in every possible direction and I often fear for my life just walking home! Then there’s all the other stuff going on…roadside vendors and food stalls, motorbikes parked all over the sidewalks, kids wobbling down the street on bicycles, xe ôm (motorbike taxi) drivers hooting and calling to you, old ladies in conical hats carrying bouncing baskets of fruit on poles over their shoulders, women walking their bicycles which are laden with plastic goods or balloons or flowers, and more! But there are hidden gems of tranquility; a quiet rooftop café, a restaurant tucked down a back road, a relatively peaceful park with people playing board games or exercising, or even just a quiet residential lane. These sudden moments of sanity amongst the mayhem are what make Hanoi a cool place to live. When the French finally went away they left their baguettes behind! It varies. Hanoi has 4 seasons! Summers are ridiculously hot and humid and that’s when we get lots of big thunderstorms, winters are damp and chilly (and there’s no insulation or heating, so you feel it A LOT! ), and spring is warm but grey. Autumn is the best time to be here, it’s nice and warm but not nearly as hot as in the summer, and the sun is out most of the time! 3. How long have you been living there? Do you feel like home? I’ll have my two year anniversary in July! I guess in some ways it feels like home. I like it here, and I’m mostly used to the way the city works by now. I like my apartment, down my little lane with a great local market in the mornings, but as friendly as they can be I’ll always be a “Tây” (foreigner). I know I won’t stay here forever, but I’m certainly not ready to leave yet! 4. Tell us about your favourite and the least favourite thing about Hanoi. My least favourite is the traffic for sure. Not only is it super busy, but the attitude you get from the people driving is very “me first”, and there’s no consideration or courtesy for other drivers, cyclists, or pedestrians. My favourite thing is probably Hanoi’s character and atmosphere. There are a lot of old French buildings that give it a sense that it should be all European and proper, but then amidst all that it’s still a crazy Asian city. And it’s easy to get frustrated with the chaos but that’s what makes it special, too. Even after I’ve been here this long, unexpected things still pop up all the time! 5. Let’s talk about food. 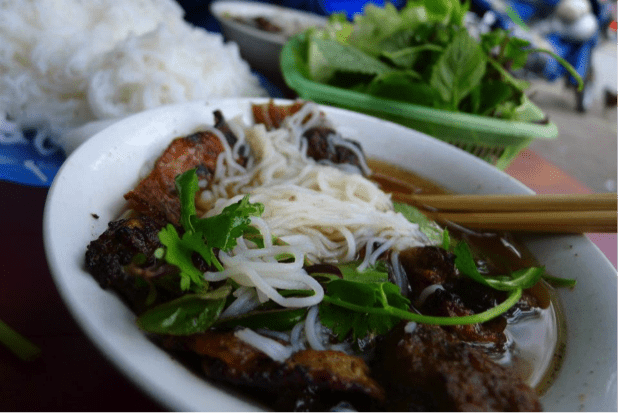 Vietnamese food is very popular around the world. 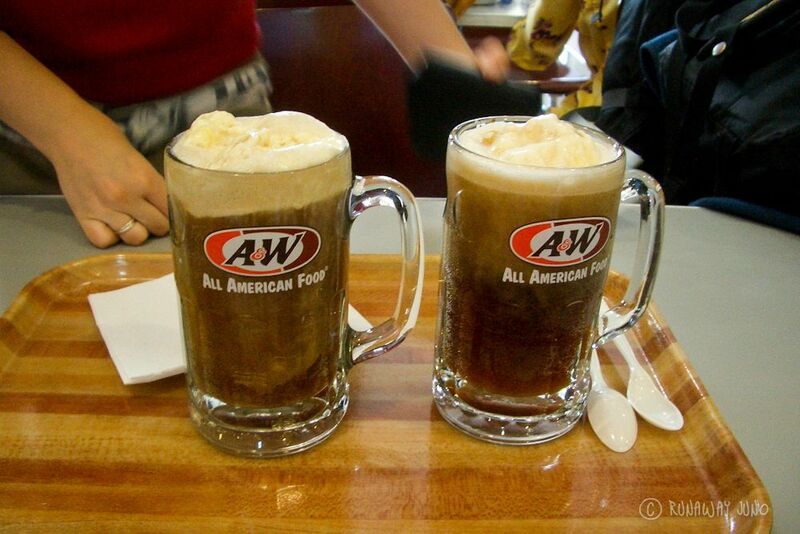 What’s your recommendation that we must try? Ah there’s so much! Vietnamese food is so light and all the ingredients are always really fresh. I recommend the nem (fried spring rolls) or nem cuốn (fresh spring rolls) and bún chả, which is marinated grilled pork in a sweet but vinegary broth, with noodles and fresh herbs. It’s a Hanoi lunchtime specialty and I don’t know why I don’t eat it more often! I also really like bánh xèo, which is a big crispy pancake with meat, shrimp, and bean sprouts inside, which you take chunks of and roll up in some rice paper with herbs. I think it’s actually a southern dish but it’s available here too. Delicious! There’s a ton of other good street food around, so you just have to be adventurous and try things! A delicious bowl of bún chả, photo courtesy of Taekyoung Oh. 6. What is the first thing would you recommend us to do right after we arrive in Hanoi? Wander. Start by walking around Hoàn Kiếm lake, then get lost, and look at everything. When you get tired, find a café with chairs out on the street and just sit and people watch. There’s stuff to see in Hanoi but I think the best things you see are the ones you find when you’re not looking for anything. 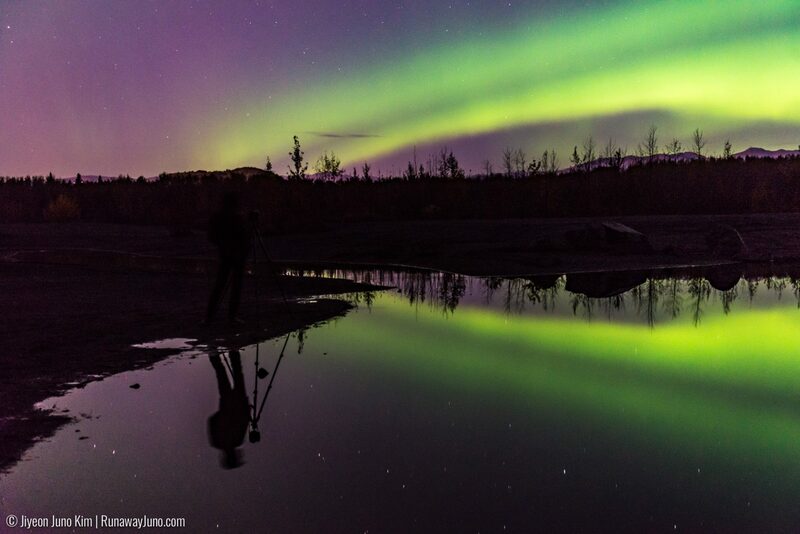 If you’re into photography, keep your camera ready, because there is SO much to take pictures of! 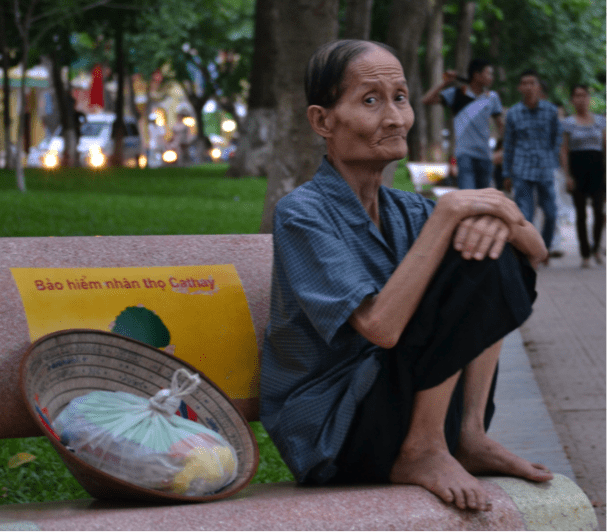 An old man sitting next to Hoàn Kiếm lake. 7. You’ve been living in Hanoi quite a while now, and you’ve been traveling long time. Do you miss Canada while you are living in Hanoi? If you are, what do you miss the most? Of course I miss Canada! I miss my friends and family and seeing my nephews grow up. My sisters-in-law are always posting pictures on facebook, but of course it really doesn’t compare to actually seeing them. 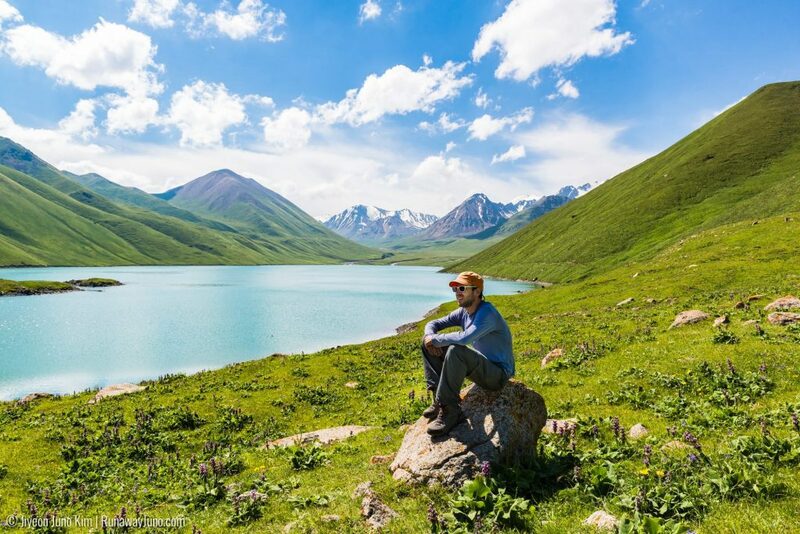 As for the country itself, I definitely miss it more in the summer, when I know the weather’s probably good there and I could go out hiking and camping and have BBQs. I sometimes also miss the convenience of it. It’s being able to take care of errands easily, to know exactly where to go to get the things I want, or being able to walk into a shopping mall and instantly find clothes that fit. That just doesn’t happen here. 8. 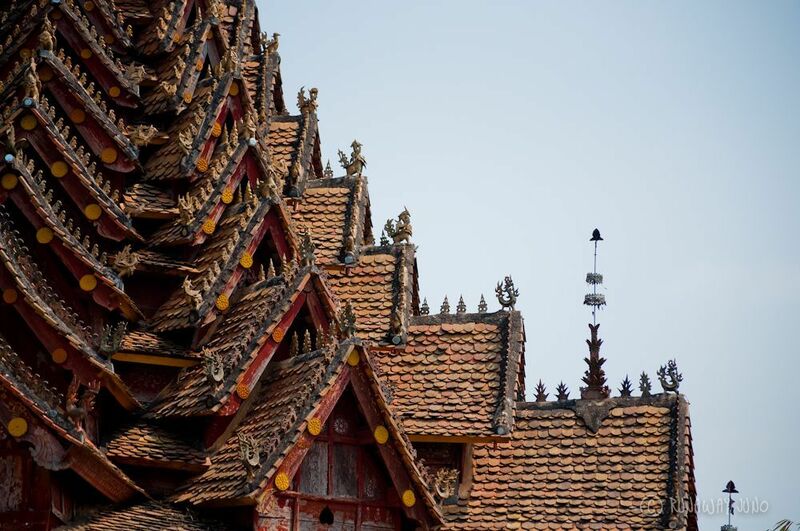 What is the most famous landmark in Hanoi? And which one is your favourite? I’m not sure what’s the most famous. Maybe Hồ Chí Minh’s Mausoleum, the Temple of Literature, or Ngọc Sơn Temple in Hoàn Kiếm Lake. I don’t know if I have a favourite, but the Mausoleum has made me giggle ever since my friend and I made a gingerbread house in the shape of it! Me and my friend TK outside the mausoleum. Photo courtesy of Taekyoung Oh. There’s a bar we often go to after work called Eté. It’s not really that special, but has decent food and ok prices, and while there are a lot of expats who go, it isn’t touristy. I’ve been there enough now that they know me by name (I’m actually not sure if this is a good or a bad thing!) When the weather’s good we sometimes go to a microbrewery called Windmill, or more often to a Bia Hơi. That’s not Bia Hơi corner in the Old Quarter, which is listed in the Lonely Planet book and populated by tourists. There are proper Bia Hơi restaurants everywhere that are full of Vietnamese, serve super cheap beer, and usually make some pretty decent food, if you can read the menu! I also really like a tea house called Ochâo. It has friendly staff and a great view over the lake and you can sit there for hours while they keep refilling your cup with hot water! 10. Sunny day, warm outside, and you don’t have anything on schedule. What would you do? What’s your go-to activity in Hanoi? No question, I would take my bicycle for a ride around Hồ Tây (West Lake). It’s about 13km around and while for a few bits of it there’s traffic, there are also a lot of lovely quiet stretches and little cafes to stop at, and it can be really beautiful and serene. 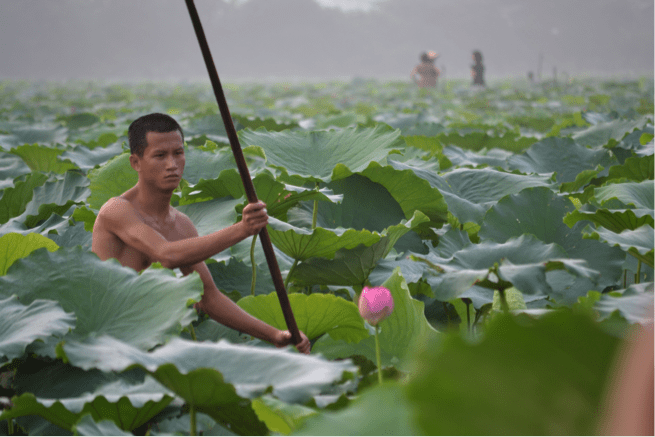 In the summer there are huge lotus fields near the northern end, complete with happy Hanoians taking LOADS of photos! Lotus field in the north part of Hồ Tây. 11. Vietnam is also very famous for their coffee culture. How much is for a cup of coffee? I don’t drink coffee so I’m not entirely sure but I think you’d pay around 15,000 dong (75 cents) for a cup. I usually go for a sinh tố xoài (mango smoothie), which would cost between 30 – 40,000 dong. 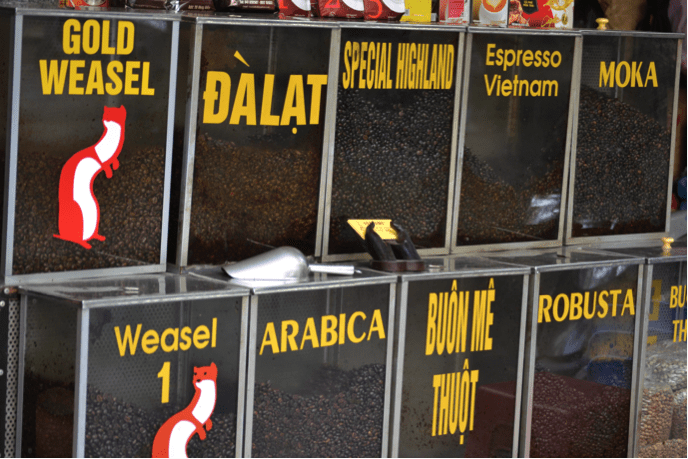 Various types of Vietnamese coffee for sale. 12. Would you recommend us one ‘off-the-beaten path’ place in Hanoi? Thống Nhất Park (commonly known by foreigners as Lenin Park) in the south of the city has a lake which is nice for a walk around and people watching, and isn’t touristy at all. There are lots of groups of women exercising (particularly late in the day) which are always entertaining to watch! Near where I live there’s a small lake with the wreckage of an American B-52 bomber that crashed into it during the Christmas raids of 1972. It’s not much to look at but I don’t think it’s on any tourist map, and it’s interesting to see. The best part is the plaque on the wall next to it, which is complete propaganda and praises the soldier who shot it down. Like I said above, the far reaches of Hồ Tây (West Lake) where it’s quiet are nice, or if you want a western-style café the Hanoi Social Club is very good. There’s a little tea house near the Temple of Literature on Ngo Tat To that, despite being so close to a major tourist attraction, is very un-touristy and full of young Vietnamese people drinking tea and playing cards. I also like Chicken Street, where the only food available is delicious barbecued chicken, roasted potatoes, toasted honey bread, and cucumbers in a yummy dressing. Sorry, that was a lot more than one! 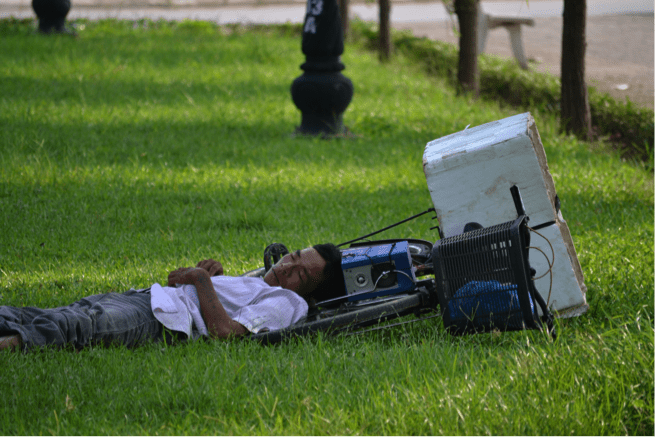 The Vietnamese often take a nap in the early afternoon, just after lunch. You probably won’t notice it in the touristy parts of the city, but elsewhere things can get a bit quieter around that time, and sometimes you’ll walk into a shop and find the proprietor dozing! Also, on certain days of the lunar month, they make small fires on the edge of the street and burn things for their ancestors. 14. I’m a fan of souvenirs. Which one should I buy in Hanoi? There are beautiful silk scarves that are very cheap if you bargain right, but shop around for quality. The lacquerware is also lovely. There’s a place called Craft Link that sells nice stuff at decent prices, so you don’t have to bargain. The best thing about it is that it’s all Fair Trade goods, made by women in small villages in the countryside, and all the money goes back to them instead of to a greedy shop owner! Of course if you really want to be a proper tourist, you can buy yourself a typically Vietnamese conical straw hat and a Vietnam flag t-shirt! 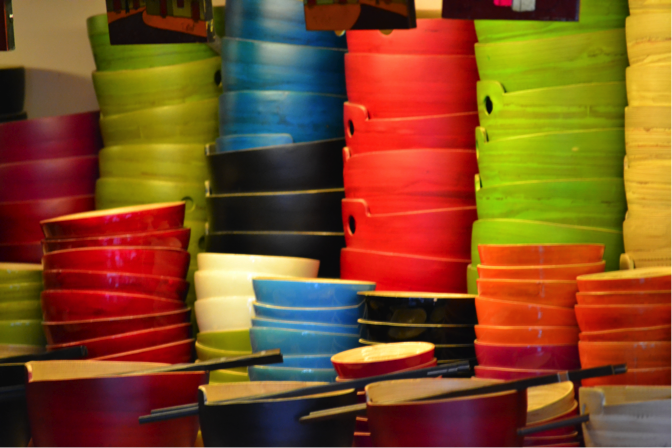 Bamboo dishes and lacquerware for sale in the Old Quarter. 15. 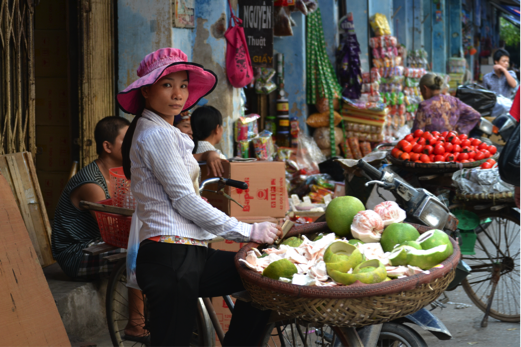 As a local, would you like to share your secret travel tips about Hanoi with us? Get out of the Old Quarter. 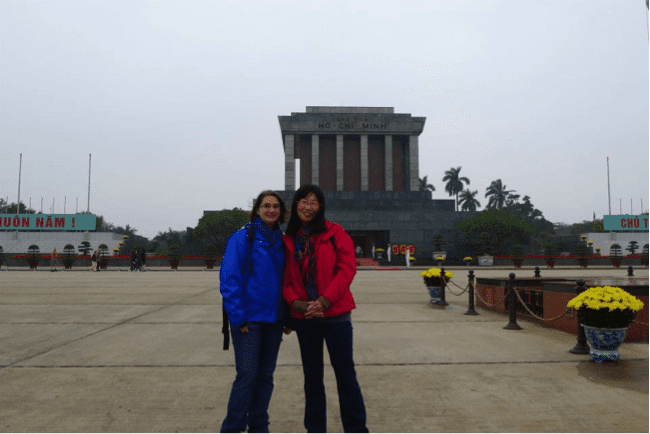 Go further west than Hồ Chí Minh’s mausoleum, further north than Dồng Xuân market, further south than the prison museum, and even east across Long Bien bridge (Ok, I admit it. That last one I haven’t even done yet, but it’s on my list). If you just stay in the Old Quarter you probably won’t like Hanoi very much, because it’s so touristy and everyone wants your money. Get out of there, wander and get lost in Hanoi’s lanes, which is where life really happens. 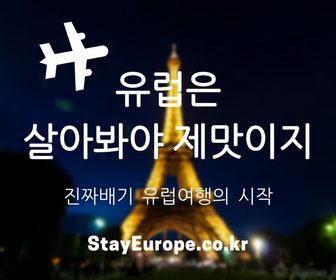 If you want to know some of the places that expats and locals go, that aren’t necessarily touristy, try looking at the New Hanoian website at http://tnhvietnam.xemzi.com/ I use it all the time! 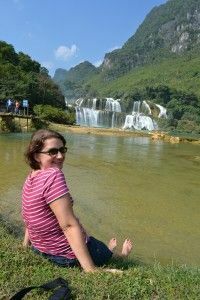 Jenny Singleton is a Canadian living in Hanoi, Vietnam. She’s been teaching, working and traveling around the world way before I met her in 2006. She recently started a cooking blog and this is her brilliant bio: I like to cook. And travel. And eat. And travel some more. And eat more. Maybe take a photo or two. And travel. And eat again. And then try cooking what I ate. And bake something I saw on a website that looked good. And grow things on my balcony. And then eat them. So if you haven’t figured it out, here you’ll find accounts of my cooking, eating, travelling, photo-taking, and plant growing adventures wherever I might be in the world! Enjoy! Visit her cooking blog “Culinary Wanderlust” and follow her on twitter @jennyinbc . Also you can find her on Pinterest @jennyinbc1977. I agree that Hanoi is quite chaotic, but I actually liked it, I did sit a lot in the Bia Hoi corners, even the one in the old quarters 😉 Thou I do agree, that you probably should get out of the Old Quarters and see a bit more of Hanoi. Thanks Jarmo! I’ll be exploring Hanoi with the author! 🙂 It made me really excited about the visit. I’m looking forward to experience the hectic traffic. After China, I’m not afraid of anything anymore. Me too! I’ll be there in few days. So excited to see all the insider’s tip. Can’t wait! Awesome interview! And great timing…I’m headed to Hanoi tomorrow! I can’t wait to visit Hanoi…..looks like a nice place. Now I’m in Ha Noi. it really is a beautiful place. Enjoy! I really loved my time in Hanoi! I found the new feeling about Hanoi of a foreinger. 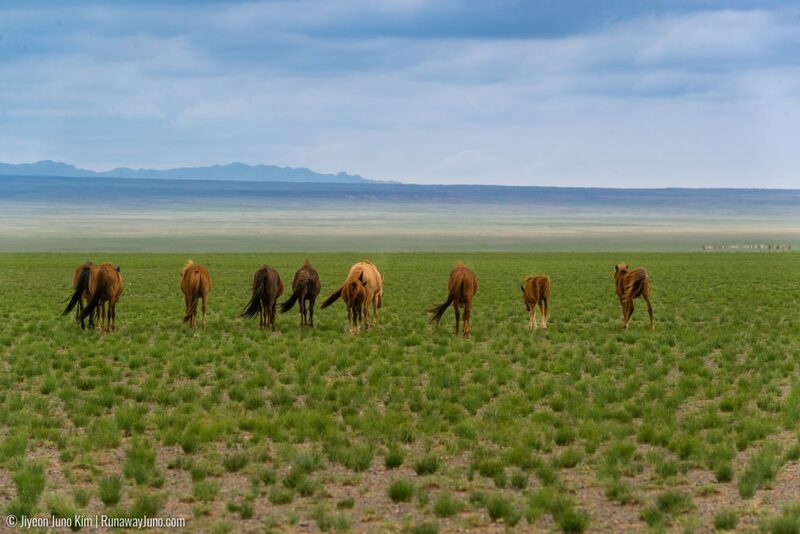 you want to discover another place where not for the tourisms? i suggest that you should go around the Westlake in the early morning and visit some temples there ( they are not famous temple) or visit suburb of Hanoi or near Hanoi ( some village such as Van Giang, Bat Trang..). 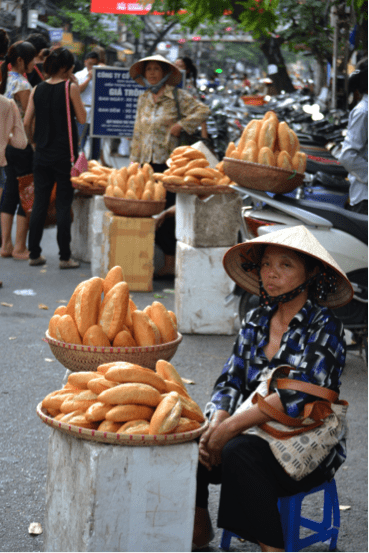 I really dont know what you want to know more about hanoi? The culture? places? cuisine or do you want to live by people Hanoi way?